About Us | Action Welding Corp.
Action Welding is a family-owned and operated company with more than 20 years of proud service to Southern California. You’ll find our work everywhere, from city vehicles, to the restaurants you dine at, and even to the hospitals and schools that keep the city going. Orlando “Lonny” Medina has been welding all of his adult life. 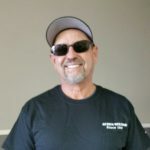 Lonny worked for a variety of prestigous welding shops before founding Action Welding in Anaheim in 1989. 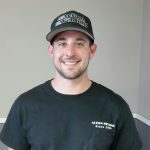 Lonny has earned a variety of welding Certifications including State Certified Welder, as well as Certified Structural, Pipe, & Aerospace Welding to name a few. Anthony Medina, Lonny’s oldest son, started in 2003 as a young Los Angeles Certified Welder, via the Fullerton Community College Program. Shortly after, Anthony passed the State Contractors License Board Exam, making Action Welding Corp. a Welding Contractor Shop. 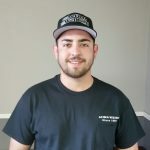 Frank Medina, Lonny’s youngest son, started in 2010 as a young Los Angeles Certified Welder, via the Fullerton Community College Program. Proudly following in the family tradition, Frank is Action Welding Corps. Shop and Mobile Certified Welder. Action Welding’s top priority is the quality and craftsmanship of our work. We are fully insured and licensed by the city of Los Angeles, and we are also AWS Steel and Aluminum Certified. We’ve worked on everything from industrial buildings to emergency vehicles. We know that the job needs to be done fast and done right … and with Action Welding, you’re guaranteed that level of service! Our service areas cover Anaheim, Orange County, and all of Southern California.